A SAILING ship redesigned to deliver primary health care services is preparing to leave Townsville for Papua New Guinea. 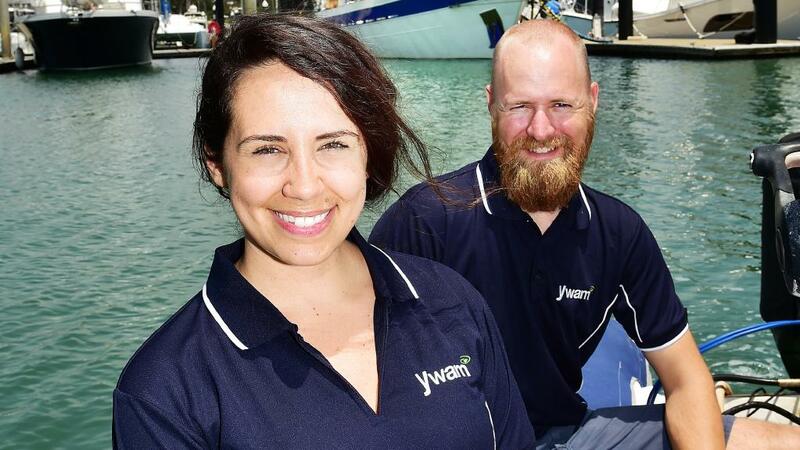 The Youth With a Mission (YWAM) ship Ruach travelled from its Newcastle base to Townsville where it has been preparing for its PNG trip for the past two weeks. It will be the first voyage as a YWAM ship for the 37m Ruach and it will join the Townsville-based MV YWAM PNG in delivering health and dental services to remote communities. YWAM Ships Newcastle managing director David Stephenson said Townsville had been a wonderful host to the Ruach. “It is great to be here at the start of an amazing journey ahead,” he said. YWAM Medical Ships public relations manager Anna Scott said the Ruach would continue YWAM’s valuable contribution to the people of PNG. “We are keen to see how she will work in partnership with the people of Papua New Guinea to continue to strengthen the nation,” she said. Visas are being finalised for the ship’s crew and other preparations are expected to be finished over the weekend.